26th June – 9th July 2018. 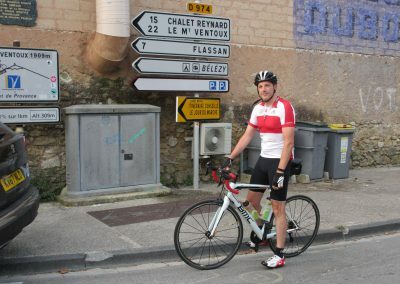 First it was an 800 mile ride to every parish of the diocese in 2015. 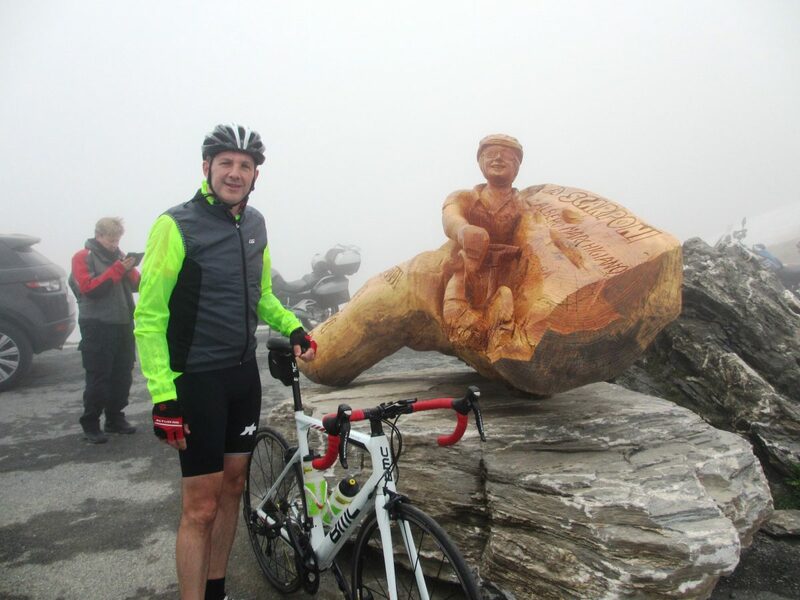 Then in 2016, it was Lands End to John o’Groats. 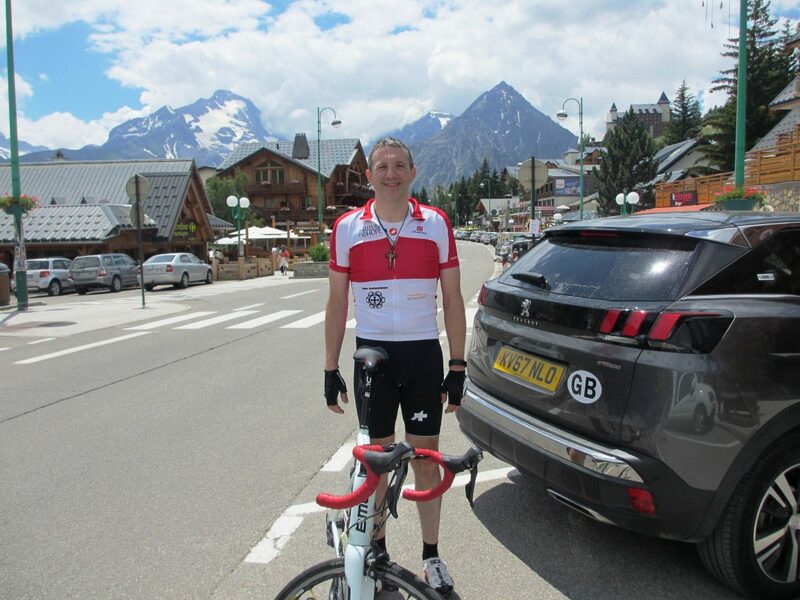 Last year it was London to Paris in under 24 hours. 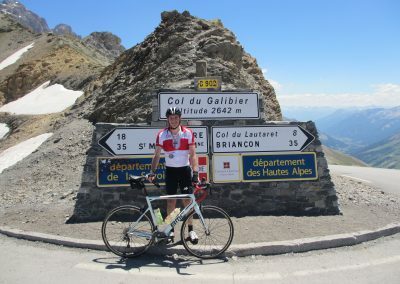 Now, Fr Matt, Vocations Director for Clifton Diocese, has decided to go for one last ‘Ride for Vocations’. 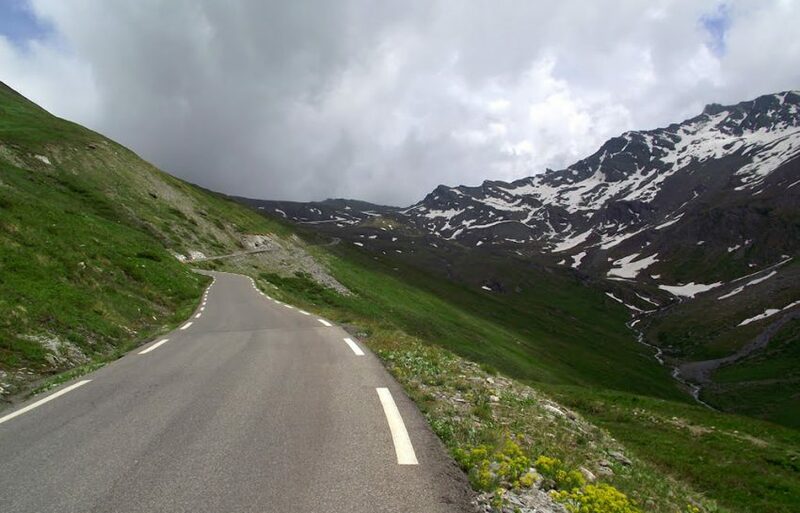 This one is every keen road cyclist’s dream (or nightmare). 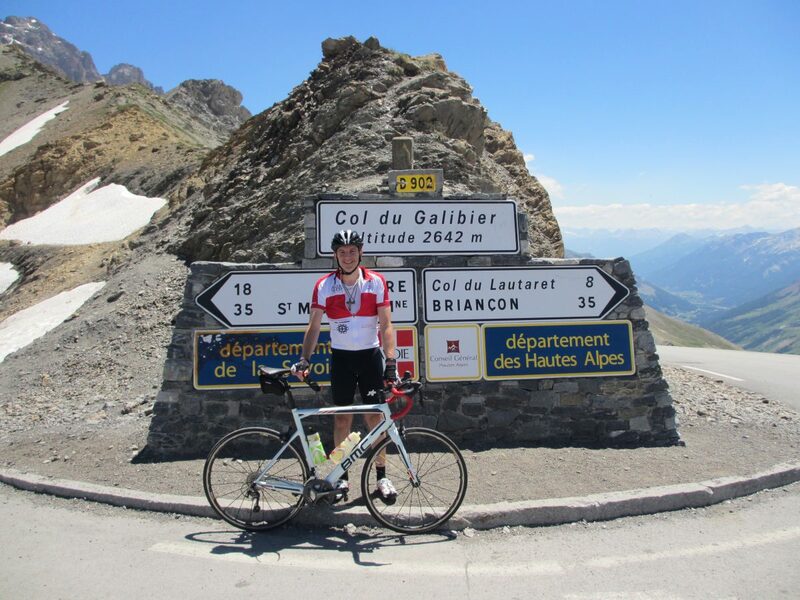 Fr Matt will take on 10 iconic climbs of the Tour de France in both the Alps and Pyrenees. 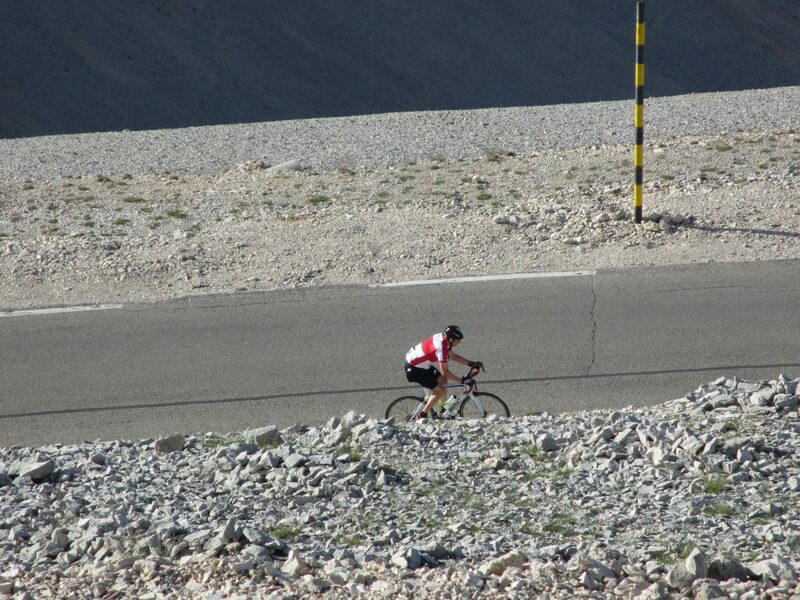 A true sufferfest! All effort and suffering will be offered for the Vocations Ministry of the diocese. Please pray along with Fr Matt. 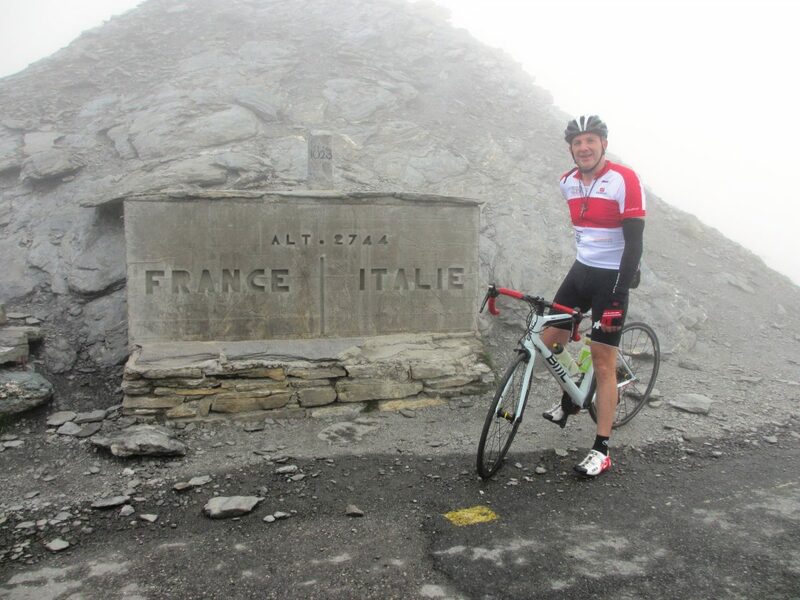 Each climb will have a specific prayer intention which Fr Matt will be praying through. Follow his progress and pray along with him. Find out more by clicking to the different pages. 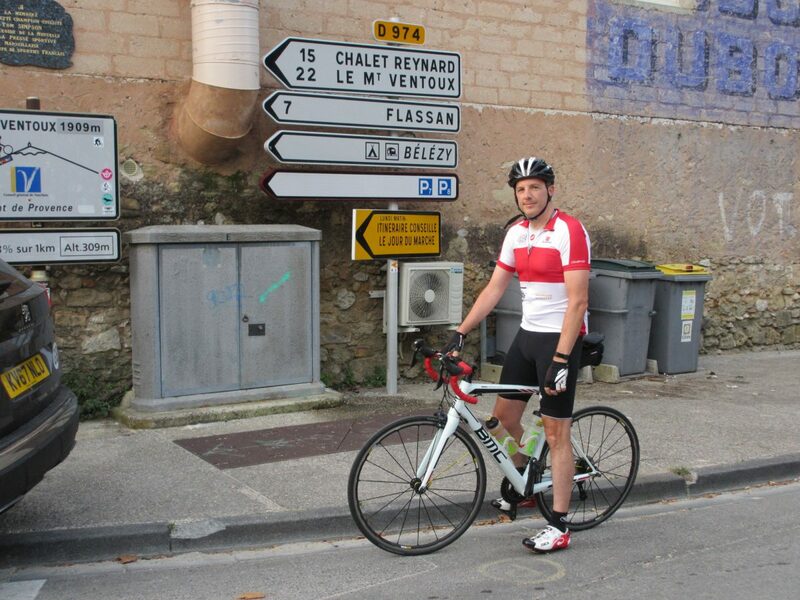 Fr Matt introduces the ‘Final Leg’! If the weather is good, I will start by trying to get the biggest potential challenge of my Ride for Vocations out of the way on day one. 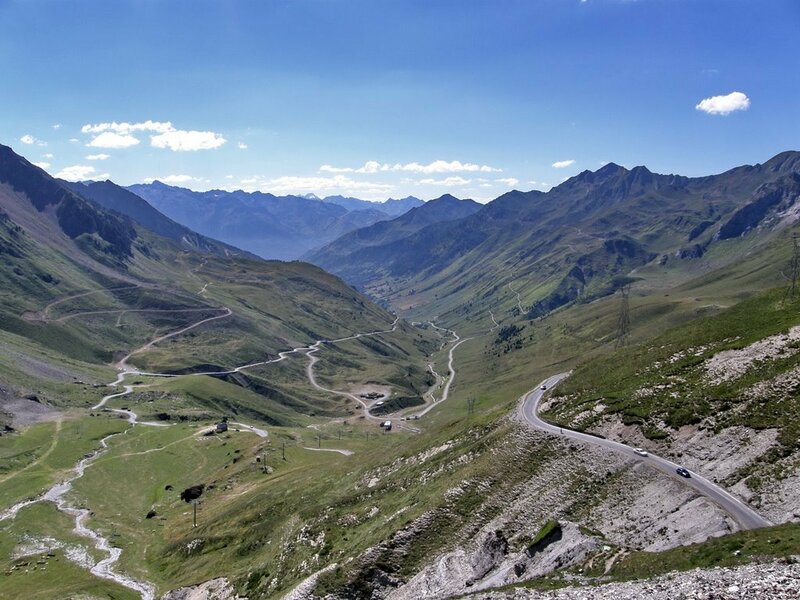 The mighty Col du Galibier* tops out at 8668 feet. That’s almost twice the height of Ben Nevis. 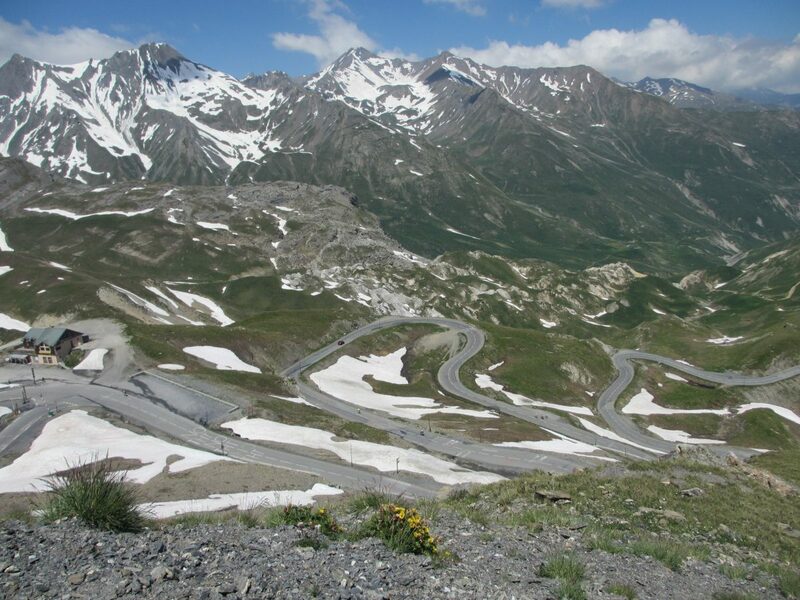 Whether approached from the south or the north, this mountain pass is protected by another one on either side. 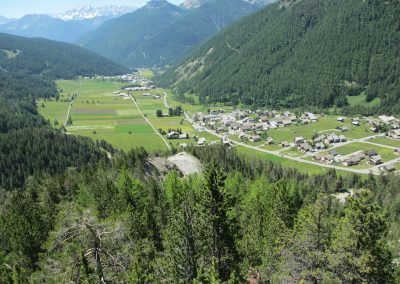 Approaching from the north, from the town of St Michel-de-Maurienne, I will first need to cycle up the Col du Télégraphe. 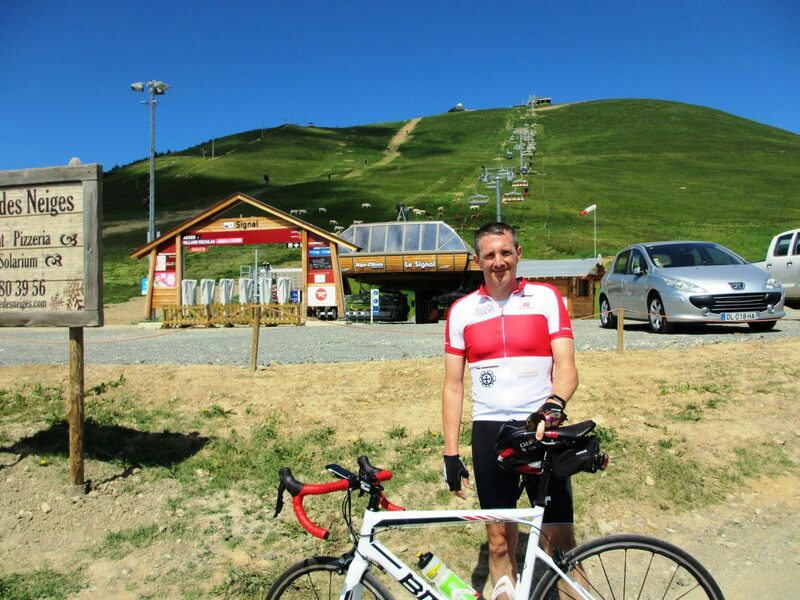 That will be around an hour’s riding before I drop down for a couple of miles into Valloire to fill my bottles up. 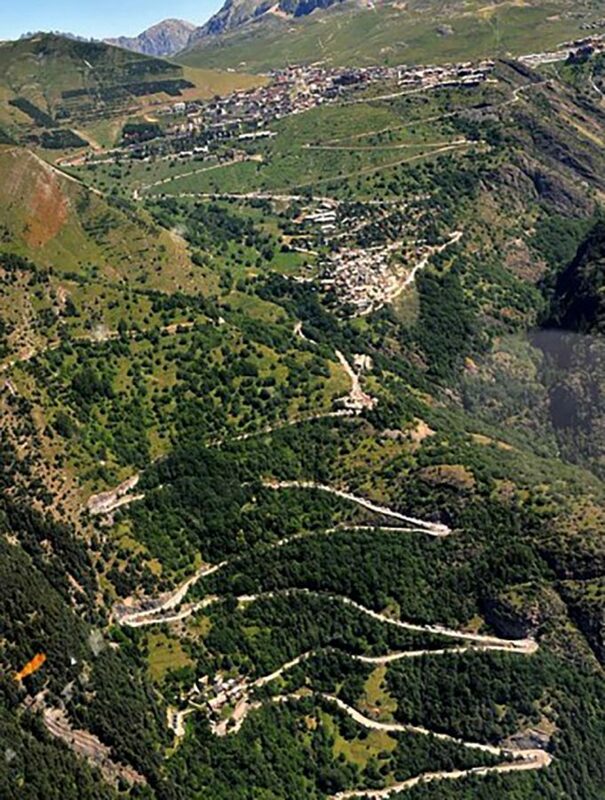 I will then face an 11 mile slog, climbing another 4,000 feet up to the top of the Galibier, before a 20 mile long, 6,000 feet descent to the town of Briancon, where my dad and I will be based for a few days. The problem with a ride like this is that altitude makes a difference on the body. 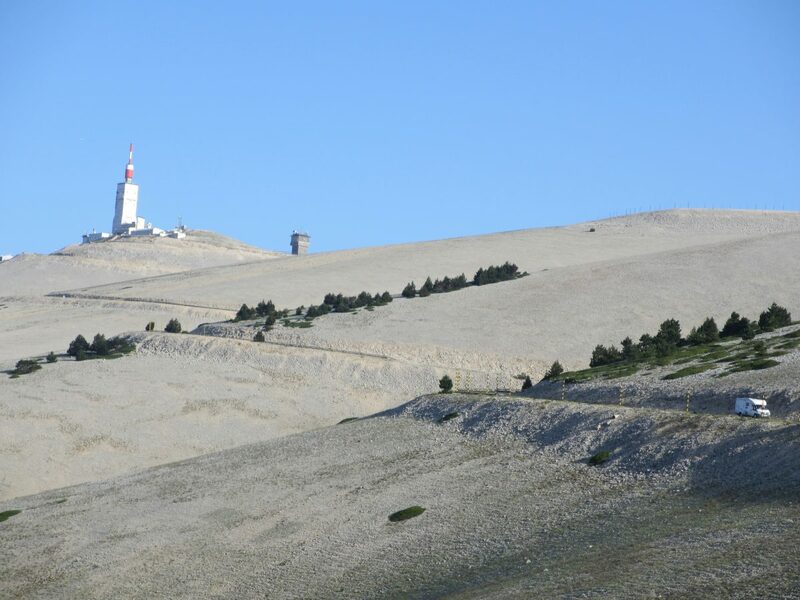 The last hour of the climb will be tough with reduced oxygen. I’m sure my legs will be screaming and my lungs bursting. 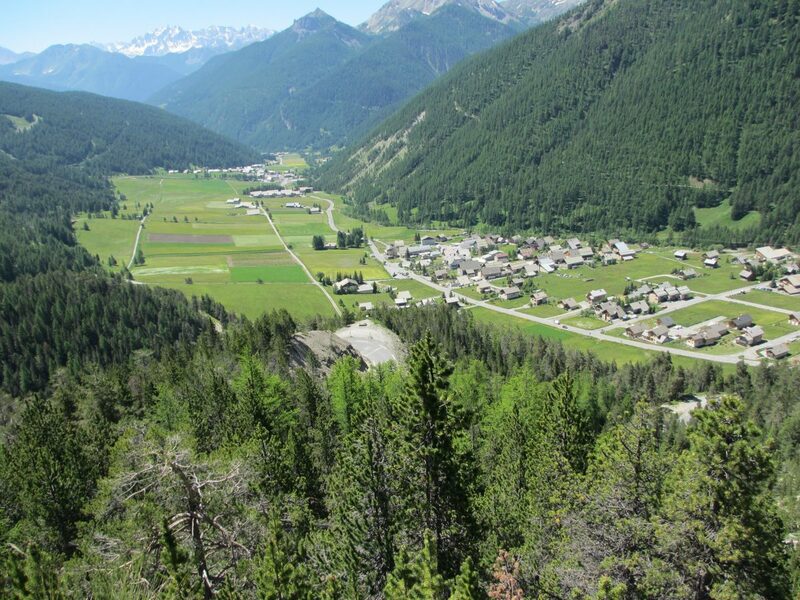 Welcome to the Alps! For vocations to the priesthood: that more men will hear the call to give themselves to the Lord in generous service of God’s people as priests, thus stepping out on this challenging but hugely rewarding journey with Jesus. Our Father, Hail Mary, Glory Be…. 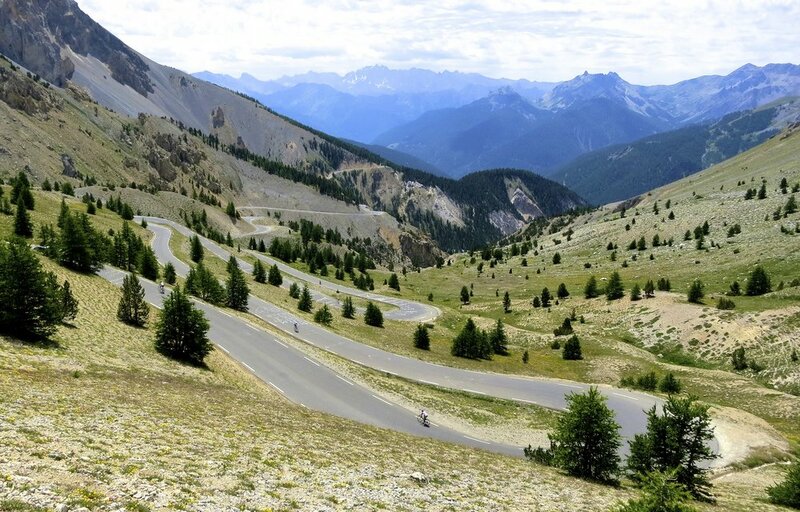 *Cols: A col is a mountain pass i.e.the lowest point between two peaks typically allowing a pass from one side to the other. 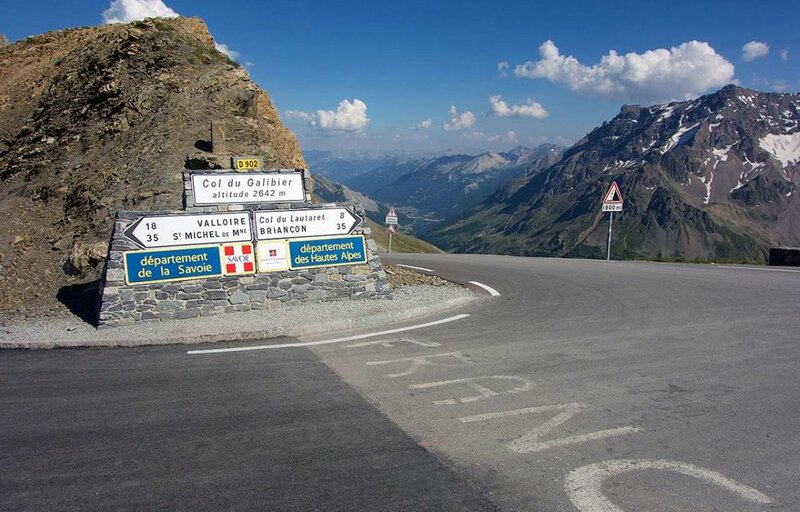 So, generally, when you go up a col, you go down the other side! 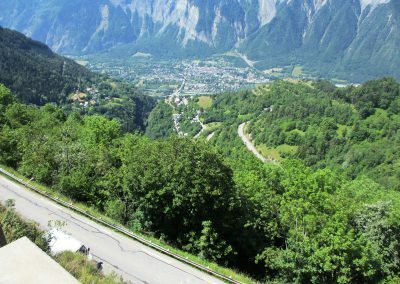 *Tour Category: In bike racing, climbs are usually put into five categories depending upon their length and average gradient. The lower the number, the more demanding. The most demanding are referred to as “Hors Catégorie” or “beyond classification. Hors Catégorie is always shortened to HC. 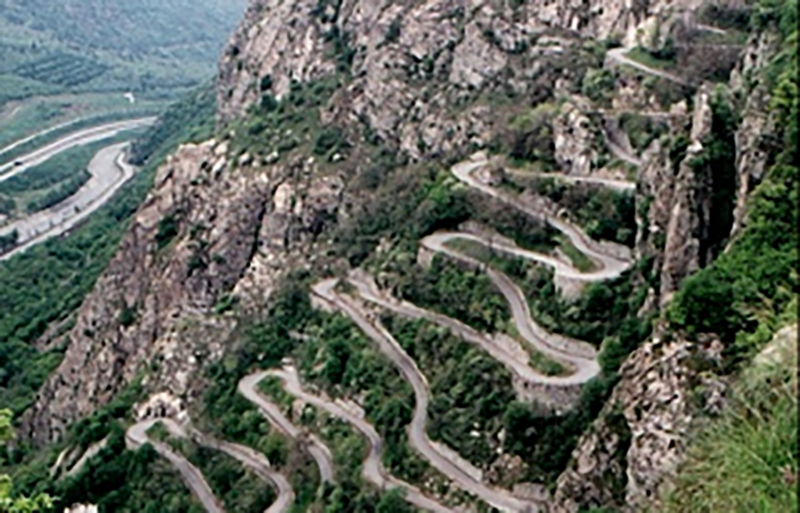 Most of the climbs I will be taking on are HC. 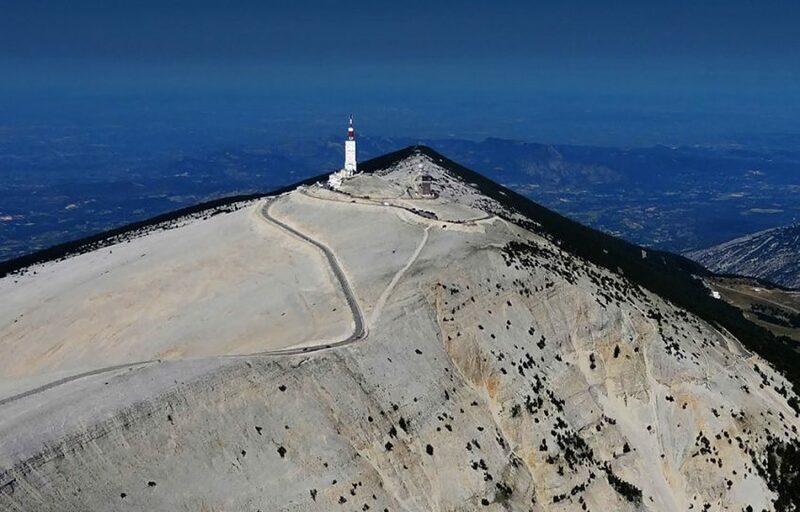 I’m really looking forward to this climb. It looks breathtakingly beautiful, but with beauty comes a pretty savage challenge. There are forbidding and barren scree slopes with protruding pinnacles of weathered rock on the upper south side. 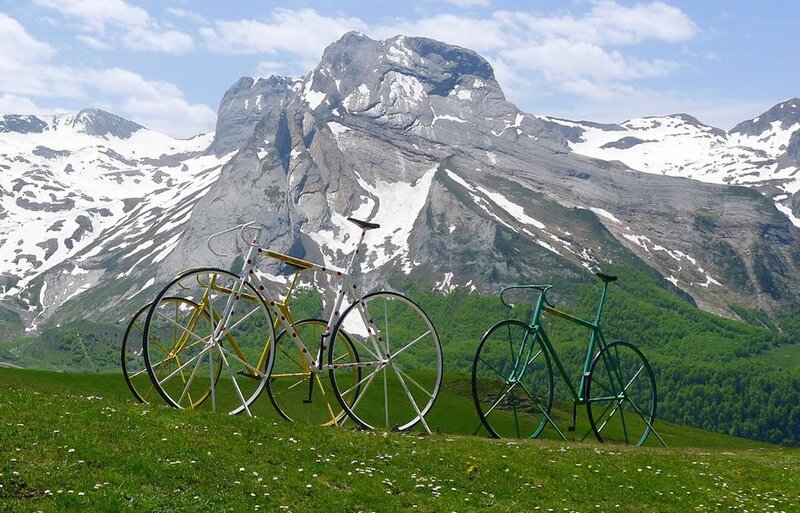 Known as the Casse Déserte, this area has formed a dramatic backdrop to some key moments in the Tour de France, and often featured in iconic 1950s black-and-white photos of the race. For the priests of our diocese: that all of our priests will rejoice daily in the beauty of their calling and rise above the challenges through the grace of the Holy Spirit. Our Father, Hail Mary, Glory Be…. 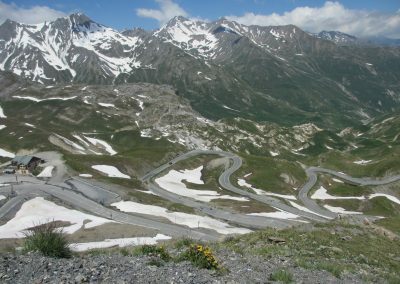 The Col d’Agnel is included on my list because it’s the third highest road pass in The Alps and happens to be convenient to where I’m staying. 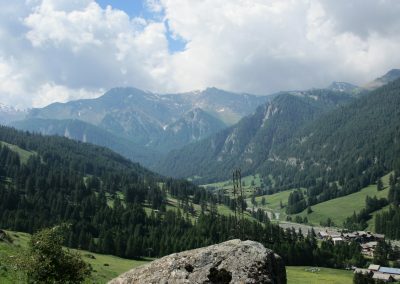 It is suggested it might have been a possible route for Hannibal to cross the Alps with his elephants around 200 B.C. on his way to Rome. All I know is that this will be a long hard slog. 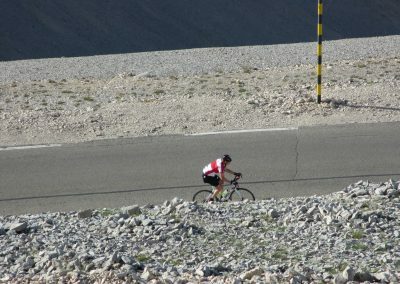 The average gradient belies the fact that much of the latter climb is pitched at 9% and very high up into the thin air. 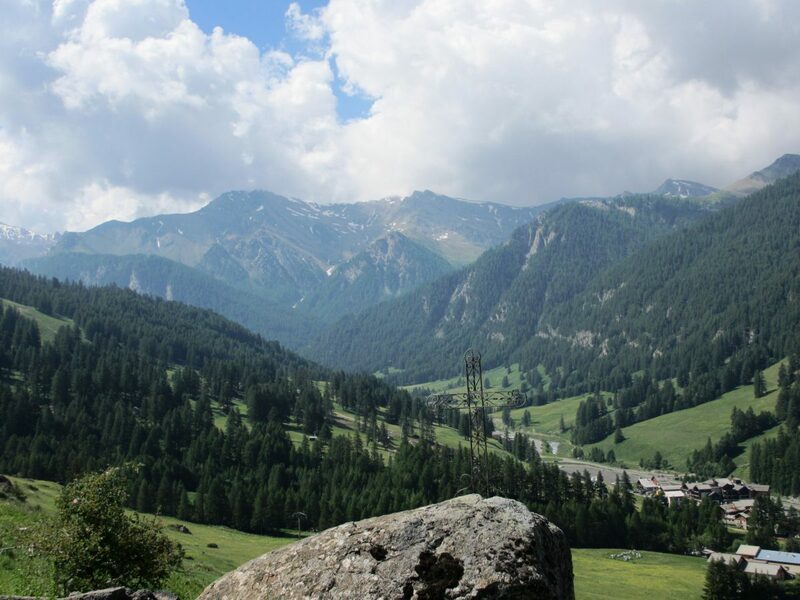 The summit of the col is the border with Italy at 9,002 ft.
For our seminarians: that just as this climb will be a long, hard slog, requiring perseverance, so they too might be given the grace to stay close to Jesus and persevere in their calling. Our Father, Hail Mary, Glory Be…. 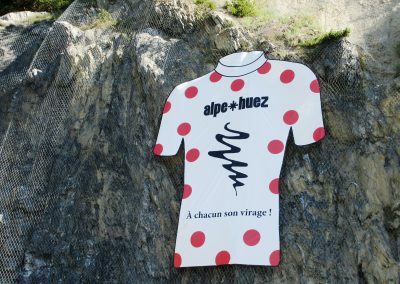 The climb to the ski station of Alpe d’Huez only made its entrance into the Tour de France in 1952 but since then has featured regularly. 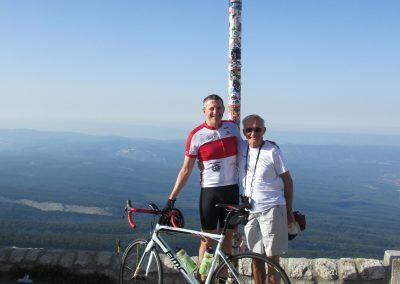 It is sometimes referred to as the ‘Hollywood Climb’. It’s the one everyone wants to ride. 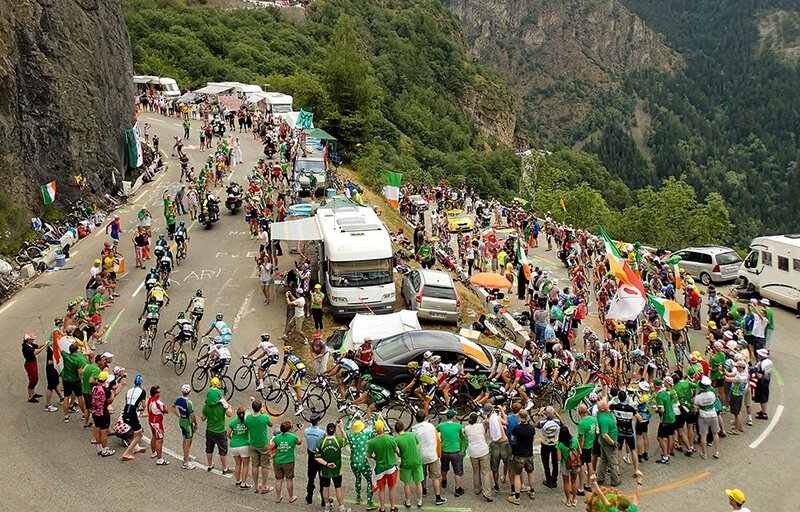 It’s a place of sporting theatre, where, during the Tour, tens of thousands line its length and its famous 21 hairpins. Apparently, the resort at the top of the climb is not too pretty but the climb is truly legendary. A first trip to the Alps demands a visit. I’ll push myself to go up as quickly as possible but don’t expect to better the time of under 40 minutes by some the world’s best cyclists! For married couples and those considering marriage: may all who are married, or preparing for marriage, keep close to Jesus amidst the daily grind, thus glimpsing something of the wonder of this calling. Our Father, Hail Mary, Glory Be…. 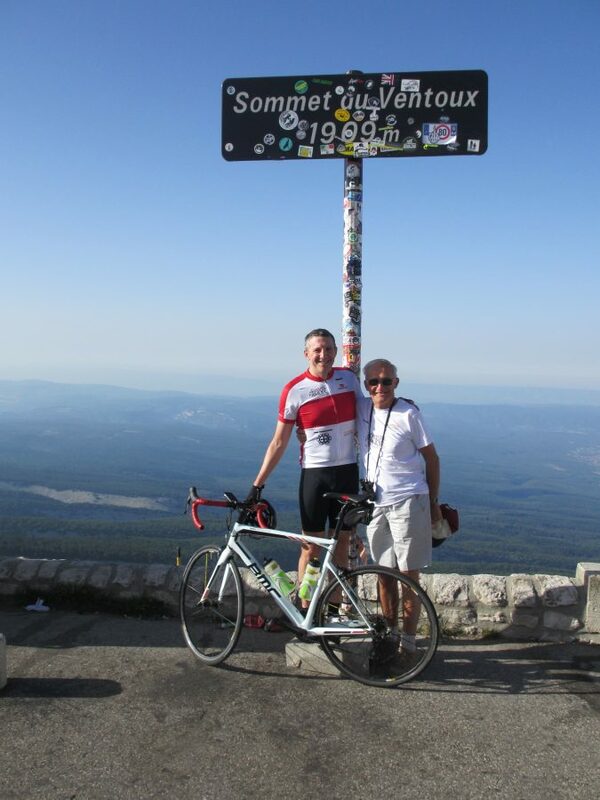 Well, this climb is not really in the Alps, it’s in Provence! 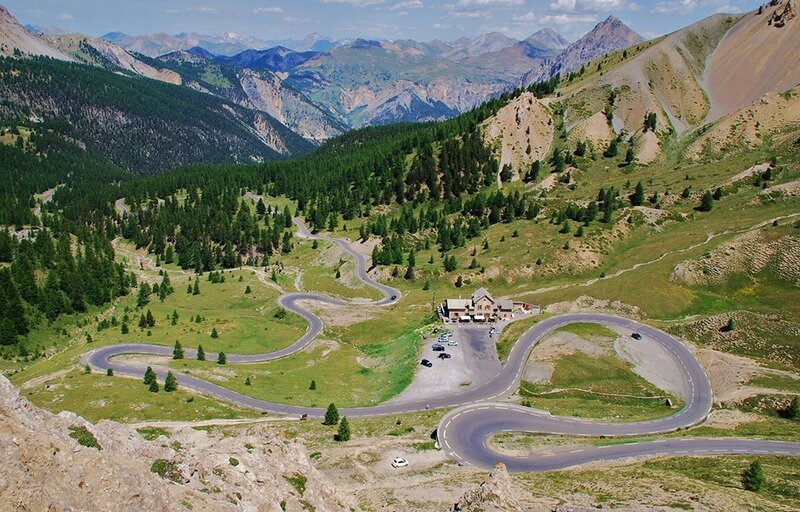 I’ll be stopping off here as I travel west from the Alps towards the Pyrenees. It really is the most iconic mountain of the Tour de France. It’s the mountain that features in all my posters. 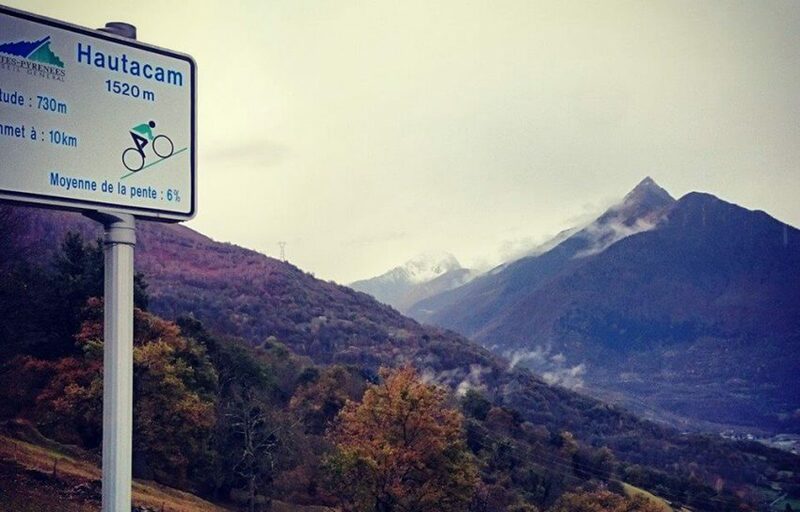 Known as the ‘Beast of Provence’ and taking its name from the mistral wind which blows regularly at over 50mph throughout the year, this will be a tough one. 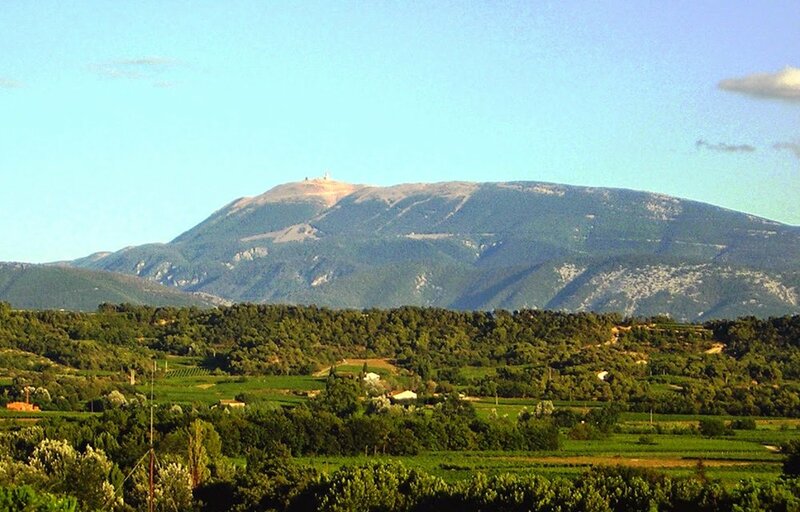 It is very exposed on its upper slopes and has an other-worldly look to it with its white rock. 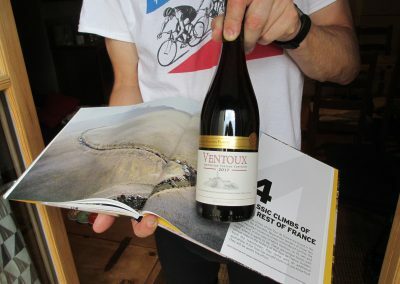 The climb up through the forest is regularly at 11-12% and a real drag. 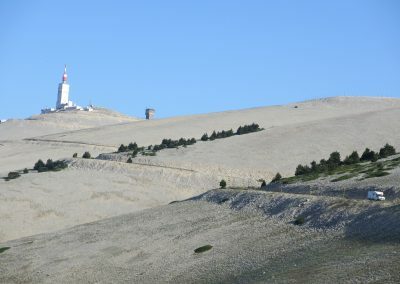 Mont Ventoux sticks in the mind of many cyclists because it is close to the top that the great British cyclist, Tom Simpson, died in 1967 during the Tour de France. Simpson died in extreme heat. 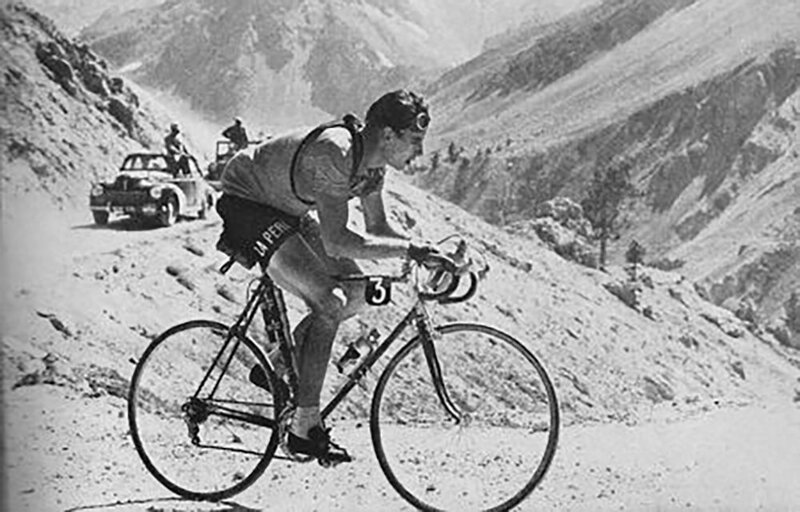 As with many cyclists of his time, amphetamines had been involved and he’d been drinking brandy thinking that this would hydrate him! His famous last words were, ‘Put me back on my bike’. 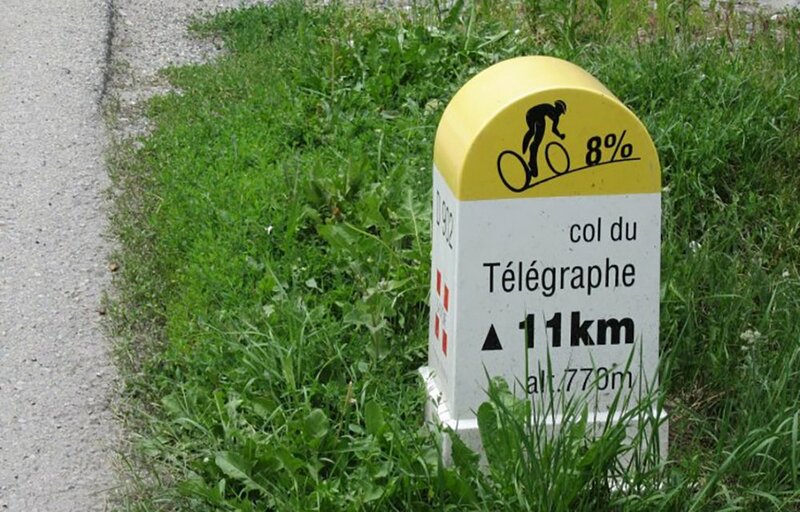 Tradition dictates that cyclists stop at his memorial and leave some token of remembrance. For all of our vocations: may we all come to realise that, as we are faithful to living out our individual vocation, we assist each other, and those we are called to serve, to climb the mountain of the Lord. Our Father, Hail Mary, Glory Be…. All of these rides will start close to Lourdes. I will be based in Argelès-Gazost just 6 miles south of the shrine. I will certainly be visiting and bringing all of my intentions to Our Lady at the Grotto. 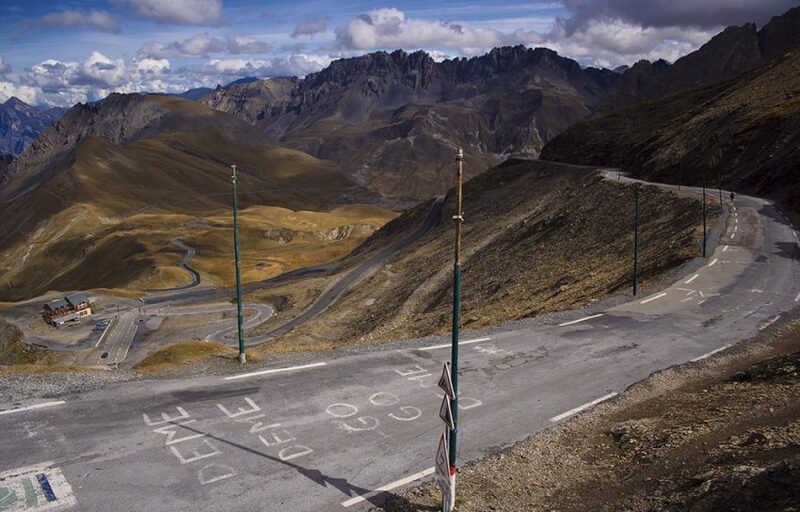 No other climb encapsulates the Tour more than the mighty Tourmalet, which has featured in the Tour de France 80 times. 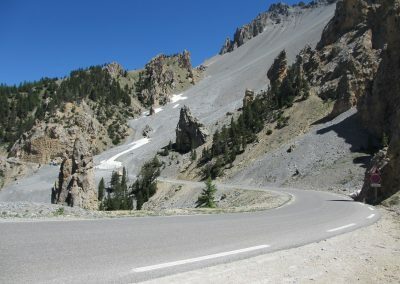 When it was first included in the Tour in 1910, the first rider over the pass labelled the organisers as ‘murderers’ for including such a difficult climb. 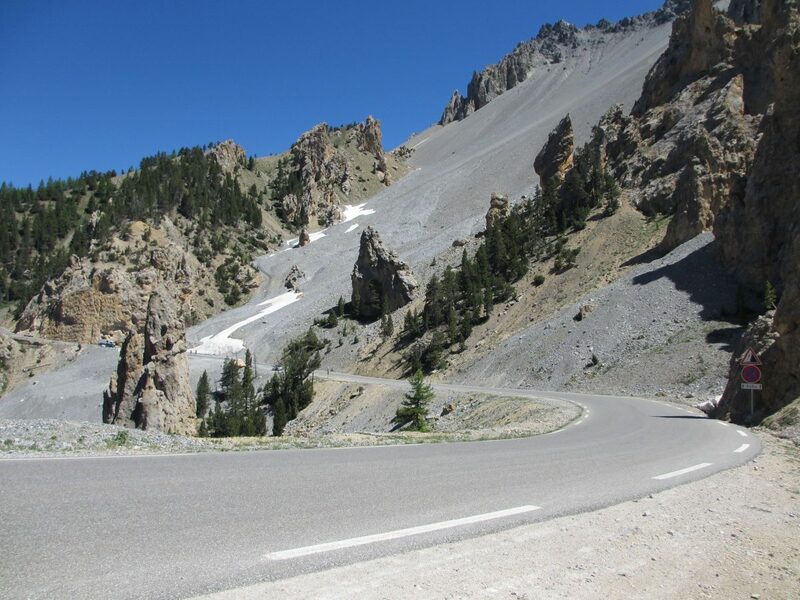 Hopefully the road surface is better these days, but it will still be an extreme challenge. As for my ride up the Col d’Aspin afterwards, that’s not to sniffed at either, especially with the previous climb already in my legs! For vocations to the priesthood: may the prospect of a long journey never deter those men called to serve as priests. May they always be open to the inspiration of the Holy Spirit, bringing them encouragement and helping them to soar in the love of Jesus. Our Father, Hail Mary, Glory Be…. 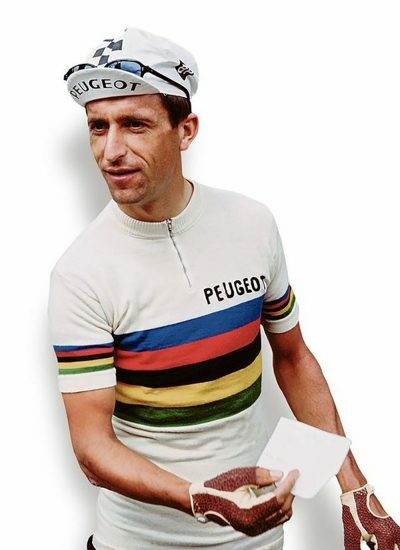 This Tour legend has been included in just about every modern edition of the race. I’m going to be approaching from the western side form the town of Laruns. 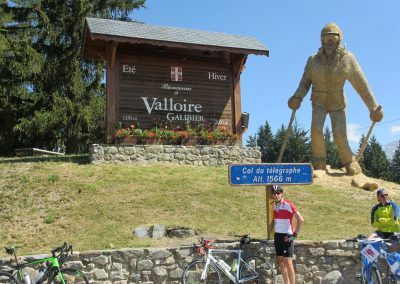 Apparently with this climb, there is a real sense of being dwarfed by the surrounding mountains. For all priests throughout the world: that they will never be dwarfed by the pressures of the world but will allow Christ to keep them faithful to him in prayer and service. 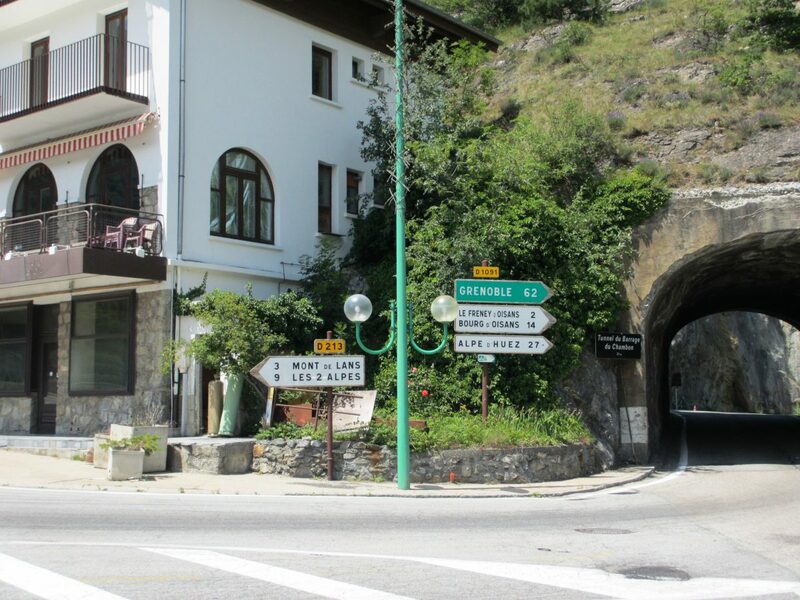 Many of you who have been to Lourdes may have gone up to Gavarnie on a day trip. 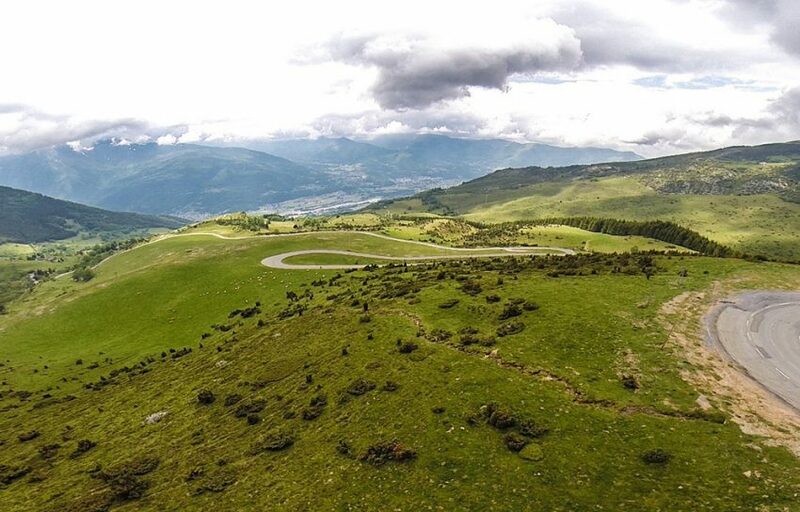 Well that’s where I’m going and then on some more to the Col de Boucharo and the border with Spain. 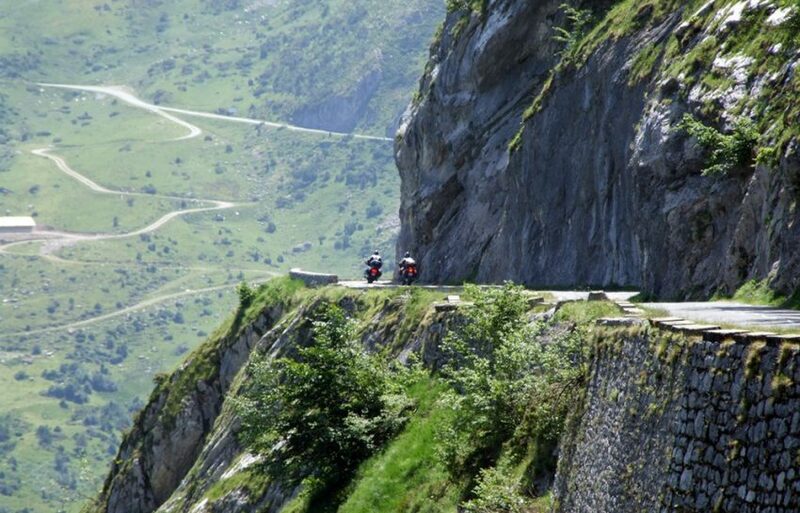 This will be a spectacularly beautiful ride. 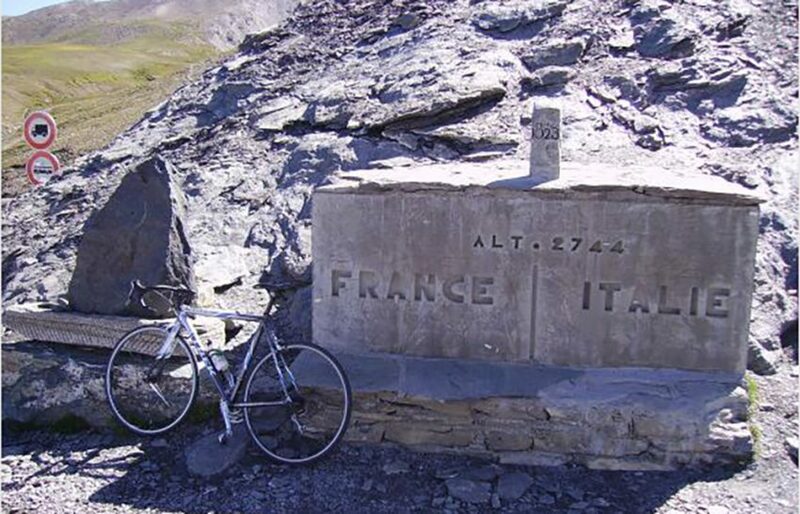 It’s not actually been included in the Tour de France because apparently it is a UNESCO World Heritage Site. For our seminarians: may the beauty of the call to priesthood always inspire them in their discernment, and may Mary, who appeared to Bernadette at Lourdes, be an inspiration and constant friend to them as they grow in discipleship. 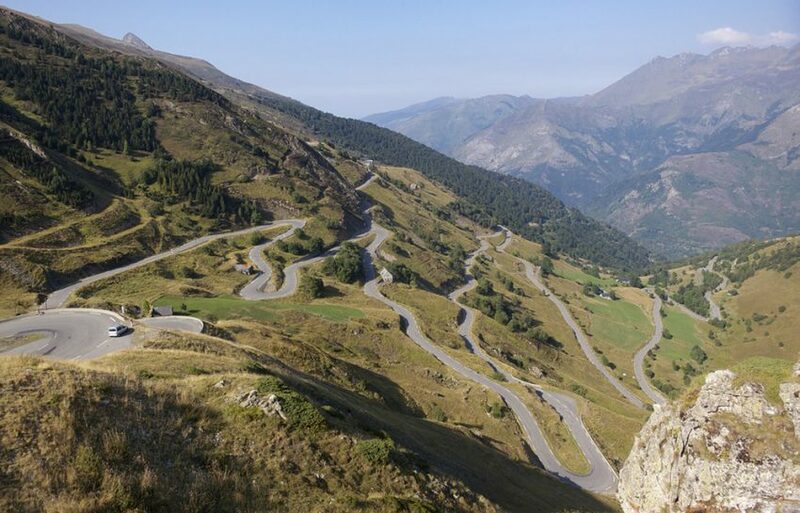 Another Tour classic, this climb has beautiful sweeping hairpins and promises to be a shorter climb but nonetheless challenging with an altitude gain higher than anything in England. For married couples and families: that in spite of the twists and turns in the road ahead, the Holy Spirit will keep them close to Jesus, the true constant in their lives. 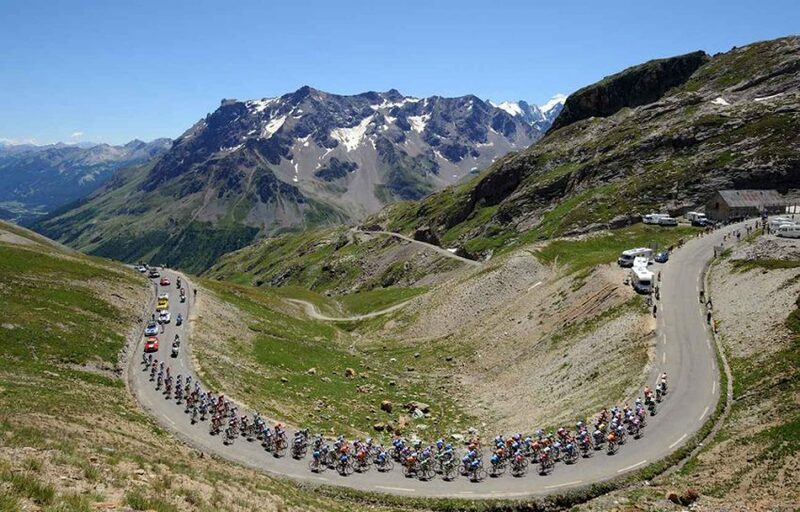 This climb was only introduced to the Tour in 1994 but already has a high status as an unrelentingly tough grind. 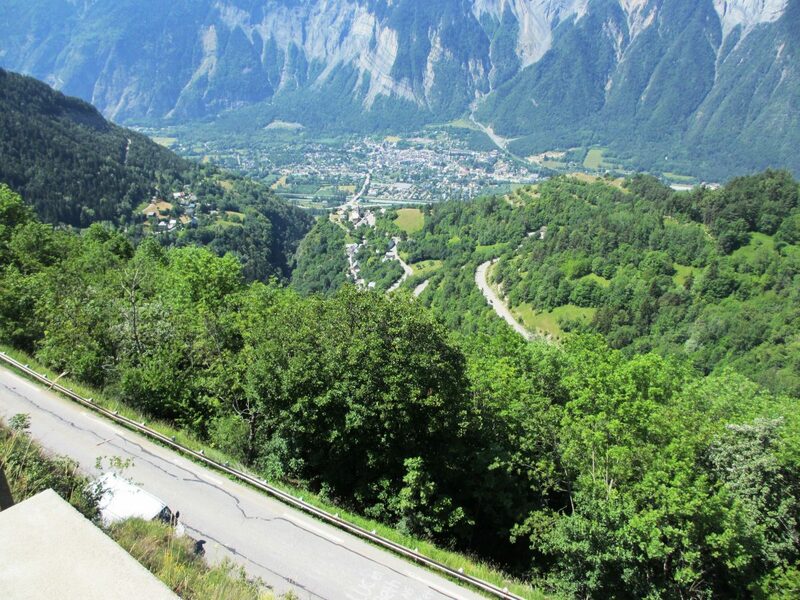 In fact, it’s this climb which has influenced my choice of gears for the whole trip – keep them low and get the legs spinning. For vocations to the consecrated life: may many more men and women hear and follow the call to consecrate themselves to the Lord. May all those who live any form of consecrated life within our diocese be blessed and inspire us all on our journey of faith. 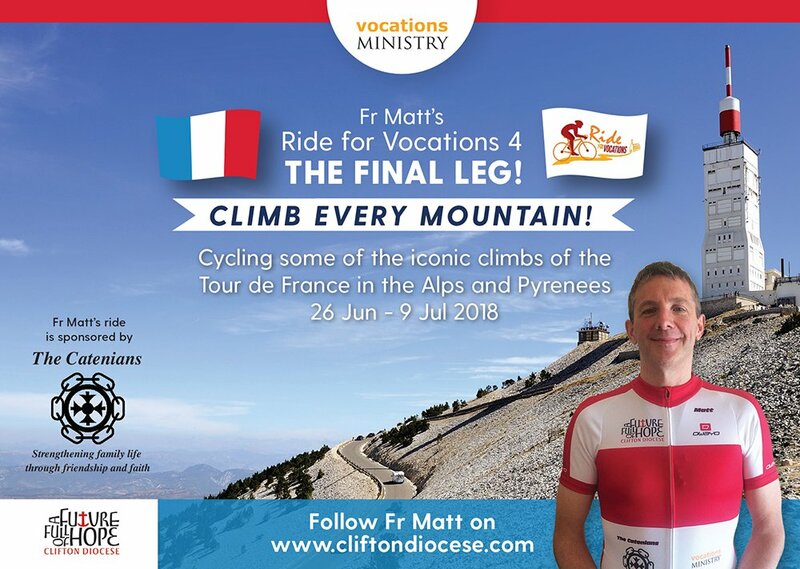 If you would like to support the training of our seminarians by making a donation in recognition of Fr Matt’s effort then please do so at www.mydonate.bt.com/events/rfv4 or write a cheque made payable to ‘Clifton Diocese; and send it to Fr Matt Anscombe, St Bernadette’s Presbytery, 731 Wells Rd, Bristol, BS14 9HU. Please indicate if you would like a Gift Aid form. 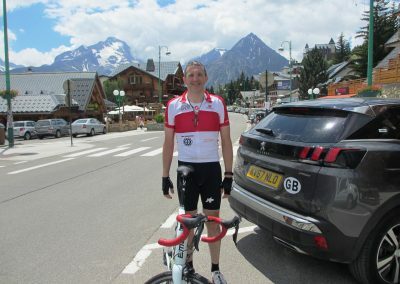 Fr Matt’s Ride for Vocations began in earnest on Tuesday 26th June, with the climbs of the Col du Telegraphe and Col du Galibier, the latter topping out at over 8,700 feet above sea level. Fr Matt offered his first two climbs for vocations to the priesthood. 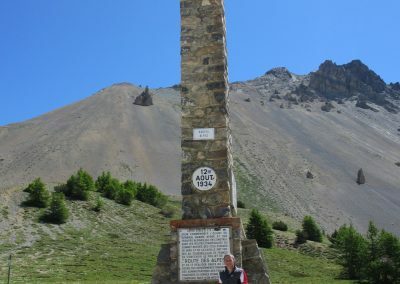 On Wednesday he climbed the Col d’Izoard, another favourite of the Tour de France. This time prayer was focused on the priests of our diocese. Fr Matt is joined by his dad, Deacon Hugh, who is giving some moral support, as well as driving! “These first two days have gone well. 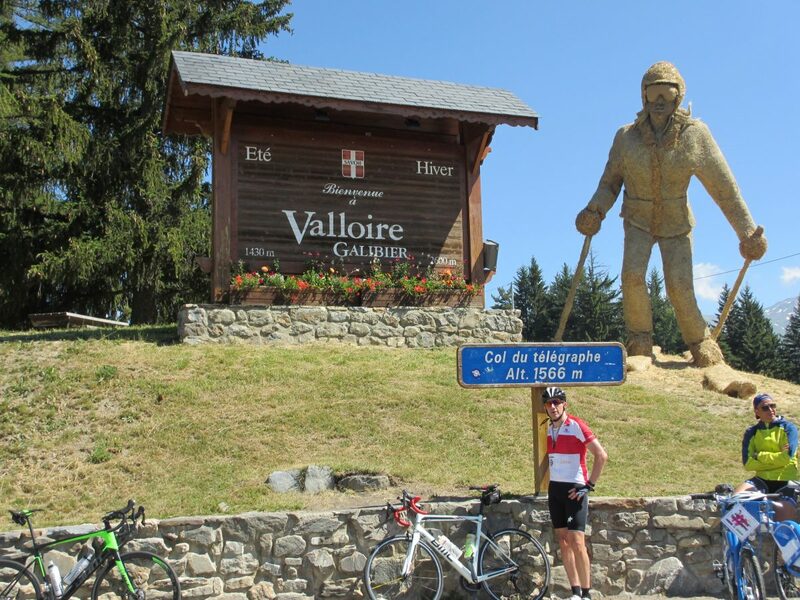 The first climbs of the Telegraphe and mighty Galibier went much better than expected. One writer said that he had ridden the Galibier a few times and had either soared like an eagle or died like a dog. Fortunately the former applied for me! Perhaps it was because I was raring to go. 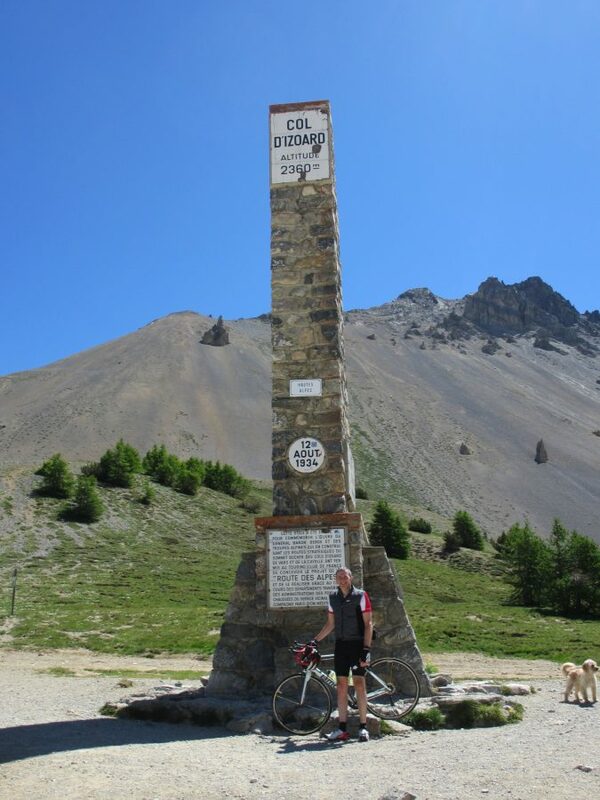 Today’s ascent of the Col d’Izoard was more of a struggle with yesterday’s exertion in my legs.